« Technology is for the lazy. So, I picked up an old project, Christy, and I’ve decided to take it with me to GenCon. I’m leaving on Wednesday, and I have a vague hope of finishing lots of it by the end. 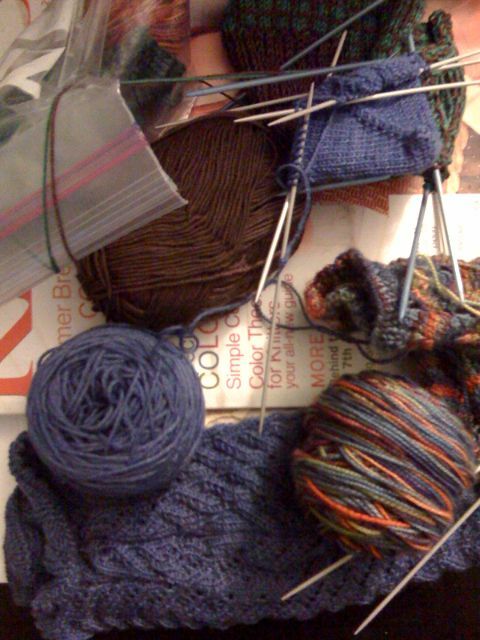 It is a cardigan knit with size 2 and 3 needles, so there are miles of stockinette to knit. Really like the variegated colorway — so warm and cozy looking!